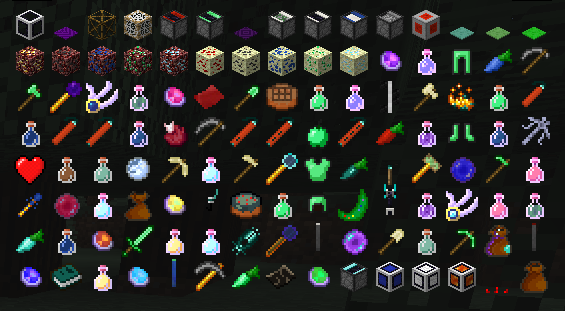 I just went ahead and added all the features that I wished were in the base game into one mod. So just a ton of random items and changes that have no consistent theme other than I thought they would be fun. (Inspired in part by Quark, Extra Utilities, Random Things). There are MANY MANY new items and blocks not shown here or in the gallery. Absolutely everything can be disabled in the config file. Make an Issue ticket. Slime Pads: launch up any entity that lands on it. Can be upgraded. 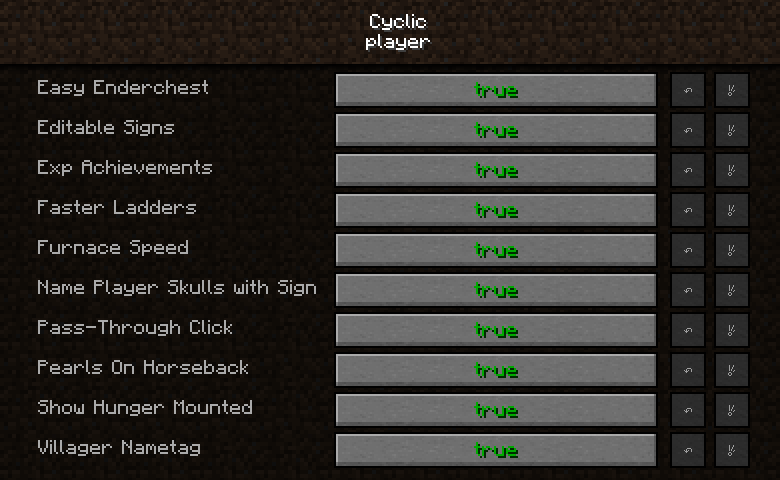 Cyclic Scepter: A Tool for long range building - The mod is named after this item. 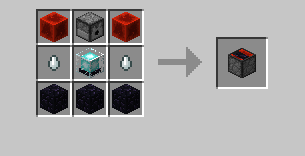 Piston Scepter - Push pull and rotate blocks. 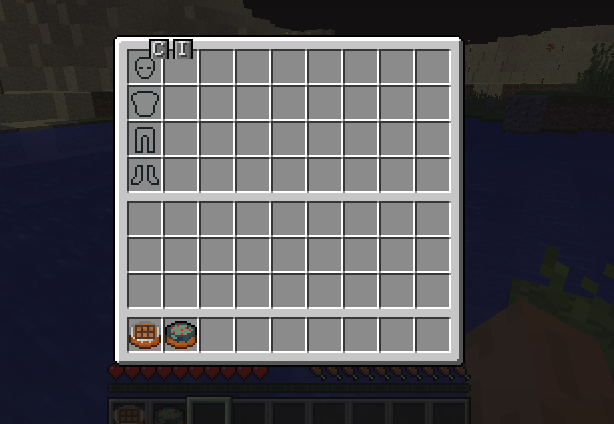 It even pushes chests and keeps their inventory. Not as good as water breathing potions in the log term, but decent for emergencies. Not as cost effective or long lasting as potions, but good in an emergency since it applies automatically. Three different Scythes to harvest large areas. 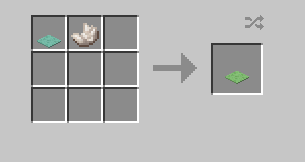 The Garden Scythe replants crops for you. Crops spawn randomly with nature. Carrots in extreme hills, wheat in plains, beetroot in forests, potatoes in taiga. Magic Bean - gives a random mystery item when harvested. There is more stuff i haven't had time to write about. I have lots of ideas for more features too! Tutorials / Guides / Reference Shoutouts! Please report any bugs / problems / suggestions to the github Issue Tracker . Note: I do not check curse PM's or curse comments ! 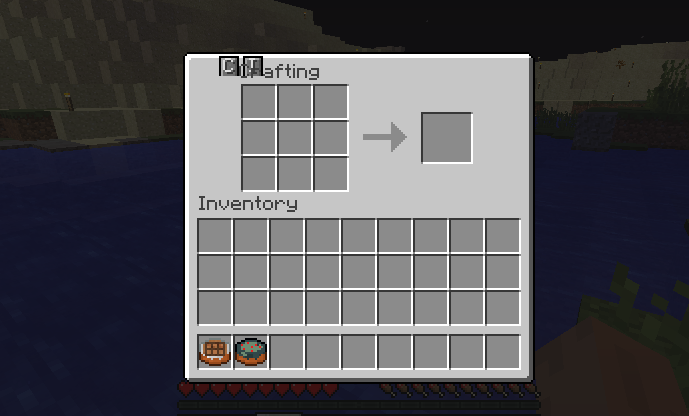 I can't tell if this was in this mod, but the butterfingers potion is completely broken needs a fix. 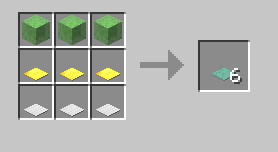 Is it intended for you to take damage when using the re-usable ender pearl? No docs on powered anvil? Nice to have sandstone tools, would you add shears, buckets made of wood and clay? Thanks. this is the best mod ever >>> thank you >>> my name is christean from iraq . sooooo what are your like copyright things is it alrght to do like a mod review on this mod or no? Hey there, I just wanted to use the terraria inventory buttons part of the mod so I disabled everything else in the config, but the buttons are not showing up? Do I need to enable something else for them to work? Oh, and any chance you can add configurable keyboard shortcuts for the buttons? 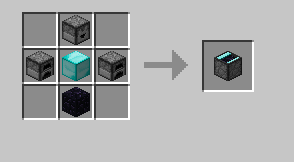 Is it this mod in the Hermitpack that does so the Shulkers (idk if spelled correct) drops Diamonds / End crystals? 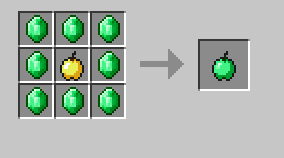 Emerald Apples, how do they work? I think you just right-click a villager with it. Could be wrong, haven't tried it. Some of my Cyclic charms and baubles appear to be wearing out. How do I recharge or repair them? I can't find any help on this. There are recipes to repair/recharge them. Is there a list somewhere of what items the magic bean can drop and what the chances are to drop that item? Im assuming its supposed to be like a slow fall but Its not doing anything.